So, I didn’t win NaNoWriMo last month, but that’s okay because winning was not my intention. Instead, I set out to revise 20,000 words of my work in progress and I succeeded! Most of my writing happened on Saturdays because they were some of the only days I had time to write. I ended up skipping the second week on account of being incredibly busy, but wrote every other weekend. The first seven thousand words or so were the slowest because they marked the words at the end of one draft and I find endings, especially endings in a work I’m revising, to be one of the hardest parts to write. When I switched to revising the beginning of my work in progress, my pace sped up immensely. Did you do NaNoWriMo last November? Did you try to write 50,000 words or did you have a different goal and rebel like me? Anyone else not write 50,000 words but feel successful anyway? Please share your thoughts in the comments and follow me on social media! Note: I received buttons and signed sample chapters of book one from the publisher. I bought both books myself. Opinions are my own. When I first finished Muse of Nightmares I wasn’t sure how I felt about it. Upon reflection, I’ve decided that love it. The reason for my initial skepticism has to do with the fact that the first time I read the book, I was debating whether or not I was satisfied with the novels confrontation scene between our main characters and the antagonist. It seemed that the antagonist didn’t interact with the main characters until late in the book and when they did, everything seemed to happen at once. The final confrontation scene resolves rather quickly, with several major characters not needing to do much of anything to resolve the problem. Despite these initial qualms, the more I thought about what I’d read, the harder it became to stop thinking about it. So much so that it got to the point where I’d reread the whole book, and have reread most of it one time more and still this book lingered in my thoughts. For a while, I had a hard time determining why. Eventually, I came to the realization that this was because it’s not really the plot that I love about this book. It’s the characters; the thought provoking exploration of human nature, even though a fair number of the characters aren’t fully human; and the beautiful, poetic writing that I love. Because, the heart of most books isn’t their plot: it’s their characters’. And, what beautiful characters we have here. With this in mind, I’ve changed my initial assessment that this book should be rated 4 our of 5 to a 4.5 out of five. This book juggles too many points of view for me to count, yet I was never confused as to whose perspective I was reading because all the characters have such unique voices. Lazlo didn’t get nearly as much time to narrate here as he did in book one, but he was still ever present on the page. Sarai took center stage in this one, hence the book being named after her, and the book features more of the side characters from book one. Also added to the mix are Kora and Nova, whose story initially seems unrelated to the book as a whole but whose connections to the main plot eventually become apparent. The way this book ended makes me wonder if we’ll be seeing more of these characters in a future series. Fingers crossed, because I would love that. 🙂 Only time will tell. This is one of the few times when I’ve liked a book more with distance. Yet, there is no denying that I loved this book beyond the extent I usually enjoy books I would rate 4/5, so I’ve settled on 4.5/5 instead. If you haven’t read Muse of Nightmares yet, are you planning to? Have you read the first book? If you’ve already read it, what was your favorite part? Do you think there will be some sort of continuation? Please disclaim spoilers in the comments. My break from blogging is because of something I’m sure many book bloggers will relate to none the less: spending all my free time binge reading a series of books. Before we begin, I’d like to disclaim that my reviews typically point out my criticisms of books even when I love them, but this time I’ve decided to write a post that’s almost 100 percent positive for once. While I do see some criticisms I’ve seen for this series as valid, and haven’t even given all of the books five stars myself, this post is positive due to my enjoyment of the series. What is the Vorkosigan Saga? The Vorkosigan Saga is a series of science fiction novels that follows members of the Vorkosigan family, primarily Miles Vorkosigan, but also sometimes Miles’ parents, his cousin, his love interest, and his sibling. It also takes occasional forays into stories of characters who exist in the same universe as the Vorkosigans but otherwise have nothing to do with them at all. The first few books in the series were released in the 1980s, and the series has continued into recent years. Due to Miles’ nature as the primary main character, the series is sometimes called the Miles Vorkosigan Adventures while others call it the Barrayar Saga on account of it being the planet most of the characters call home and the title of one of the books. There are 16 books, several novellas, and content is still being written. I love finding series with a lot of existing content. And, not only is the content of this series still being written but each book, at least that I’ve read so far, concludes in a satisfying enough way that you could stop reading there if you can repress the urge to continue. Miles is such an awesome character with a complex personality. Miles has flaws like his controlling nature, but that’s part of what makes his personality jump off the page. I love reading about Miles, his adventures, and the messes he gets into. He’s also happens to be one of the only disabled protagonists I’ve read about in all of science fiction, especially in series that began in the 1980s. These books are all science fiction, but their plots can focus around everything from mystery to romance. With all the different plots, there’s practically a novel for everyone. 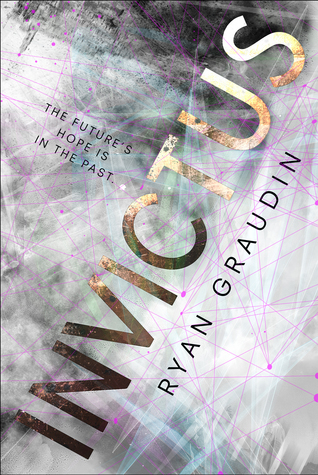 No matter if you love military science fiction, space opera, or even genres like romance that aren’t typically part of science fiction, you’ll find a book with a plot focused on those elements here. The series has won and been nominated for several Hugo awards. It’s hard for me to find an exact count, but books in the series have been nominated for about ten Hugo awards, won at around four times, and been nominated for the Nebula award about seven times. I started this series skeptical of whether I would like it but ended up hardly able to put them down. As stated at the beginning of this post, I was so caught up in this series that I didn’t have free time left to blog. That speaks for itself. I started with the Warrior’s Apprentice and it worked well for me. Others start with the prequel novel, Shards of Honor, which follows Miles’s mother. Others still start from just about any book in the series; the books were all written with the intent that they could also be read as standalones. It should be noted that the author writes out of chronologically, so there is an ongoing debate about how they should be read– often the debate comes down to whether chronological or publication order is best. What I’ve Read So Far. . .
I’m afraid I don’t have a definitive answer to the ongoing debate about this series reading order, but this is the order I’ve read them in so far, and it’s worked for me: The Warrior’s Apprentice, The Vor Game, Cetaganda, Boarders of Infinity, Brothers in Arms, Mirror Dance, Komarr, Memory, A Civil Campaign, and Winterfair Gifts. I’ve currently gone back to the beginning to read the prequel novel Shards of Honor and plan to read its sequel Barrayar when I’ve finished. And, there are still more I haven’t read yet! Have you read the Vorkosigan Saga? Are you planning to? Should I turn infographics into a regular feature on this blog? Should I create an infographic for “Five Reasons to Read The Stormlight Archives” next? So, I’ve been slacking on my wrap-up posts. As in, to the point where I haven’t written one in 6 months. I kept trying to write something to make up for this, but kept getting overwhelmed by the shear number of books I needed to cover. So, I decided to write this post instead. I read between 6 and 2 books each month of the year so far. Or, between 1 and 3 books if I exclude this month, which isn’t over yet. This averages to 4 and 1/3 books per month. I’ve read 11 fantasy books, 10 sci-fi books, 4 contemporaries, and 4 historical fiction novels. Note that some books fall into multiple categories. I’m very satisfied with this. I read more diversely in terms of genre than I have in just about any time period I’ve recorded so far. In terms of age groups 20 out of 27 were young adult and 7 out of 27 were adult. I read no middle grade novels. These statistics are a bit more disappointing, because I generally have a more even split and read a few middle grade novels. However, with how busy I’ve been this year, I can see how my reading habits might favor YA novels, which tend to be shorter than adult novels on average. 20 books had at least one female point of view (POV) character. 18 books had at least 1 male POV character. 1 book had a character who didn’t identify as a male or female (they were someone who got a different body everyday). 3 of the books I read were published before my birth. 20 of the books I read were set on Earth, either in full or in part. Of those, only 5 took place somewhere outside of the US. Only 3 of those 5 took place somewhere other than the United Kingdom. Should I make infographics like the one at the top of this post more often? What did you read in the first half of 2018? What are your thoughts on these statistics? Okay everyone, today I’m trying something a little different and writing a discussion post followed by a review. The discussion is spoiler free. Unlike my usual reviews, this review will contain spoilers. You have been warned! Also note that this discussion is only my personal opinion. Feel free to disagree. 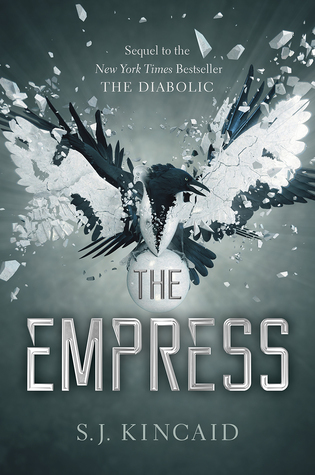 Not too long ago, I finished reading The Empress (The Diabolic #2) by S.J. Kincaid. It left me conflicted. The root cause of this confliction is this: I regard good books as books that make me feel emotion, but how many of these emotions need to be positive for me to consider a book good? Extreme tragedy is more realistic. People experience constant ups-and-downs. Fiction reflects this reality, but it is not reality. Therefore, it doesn’t necessarily need to reflect the level of tragedy experienced in real life. People in real life don’t often make a single decision that changes everything and leads to action. People in real life repeat themselves, are grammatically incorrect, and speak in run-on sentences. Try as writers might, words on a page cannot and never will reflect every aspect of the world around us. Good thing too: if it did, novels would bore us all to tears. And, yet, this makes the reality writers present in fiction no less important. Movements like “#ownvoices,” which promotes books written by someone belonging to an underrepresented group about a character from that same group, show how the reality presented in fiction might shape others perception of our own. Herein we have the root cause of my dilemma: fiction cannot reflect all aspects of reality but the reality that is presented is of critical importance. I suppose, then, the answer to my question depends on whether or not the depiction of extreme suffering depicted in a way that the reader feels some of the character’s emotions because they have come to care about this character so much is critical to what people need to experience in fiction to sympathize with the experiences of our fellow humans. To this, I have no answer. There is also the question of whether this matters in a work like The Empress, where the characters’ problems are ones we of the 21st century do not experience . . . At least, I hope there are no genetically modified bodyguards out there because if there are, I must be living under a rock. In the end, it depends on the reason we’re reading. If we’re reading for escapism, books should, most likely, make us happy. If we’re reading for authenticity, then books probably won’t make us happy because life isn’t the most happy of places. Please check out my spoiler free The Diabolic review or skip to the “Rating” section if you do not want to be spoiled! As you may have guessed from my discussion, I am still not sure how I feel about this book. The first half is super awesome and I loved it. One of the things that bothered me about the world building in the last book was that the characters have all of this advanced technology but no one knew anything about science because science was forbidden. In this book we have an answer. It’s explained so well, and I love the author’s idea for a space-faring society that regressed to the point where a ten-year-old today might know more about physics than the society’s emperor. It’s the second half that left me conflicted. It was so heartbreaking to first see Tyrus during the second half, mostly because it was hard to see Nemesis’s heart breaking. It made me realize how much I’d come to care for her, but it also hurt to see her so distraught. I think the other thing I didn’t like about the way this book ended is that the second half almost seemed to undo the progress made in the first half. The characters made so many discoveries, but those discoveries were invalidated when most of what they discovered got destroyed. I’m also surprised by how much I disliked the romance ending the way it did. Usually, I would love the female protagonists to have more agency and realize they don’t need a guy or, in some cases, that the guy is essentially abusing them, but seeing such a drastic change in the love interest just hurt too much. Yet another example of how much I’ve come to care for these characters. In the end, I suspect much of how I feel about this book will be influenced by the course book three takes. Despite my misgivings, I will give this book a good rating because a book that can make me experience so many emotions is a well executed one. Do you read books that make you unhappy? Have you read The Empress? What is your favorite book that has left you emotionally torn? Please remember to flag spoilers in the comments! I believe this is my first discussion post on my blog. If you would like to see more in the future, let me know in the comments!